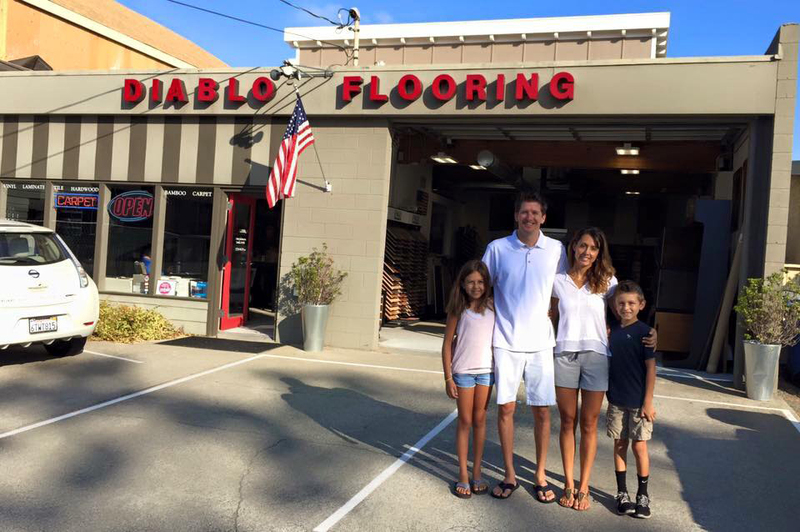 Balancing the values of a family-operated business with the expertise of a high-end retailer, Diablo Flooring has built an amazing legacy and continues to do so today. Diablo Flooring’s built 3 stores in 6 years based on our customer service, products and quality of our installation. In 2013, 2014 and 2015, Diablo Flooring made it on the Inc 5000 list as one the fastest-growing private company’s in America on its annual exclusive list. As we enter into our 11th year, I would like to take a moment and thank all of our customers and employees. Through innovation and hard work, we have built a reputation for outstanding quality and excellent customer service. I am both proud and grateful for all we have achieved thus far with your invaluable support. In loving memory to Brian’s step-dad, Paul who taught him the ins and outs of the flooring business and never got a chance to see us open our stores. Brian’s father, Ed who passed away in July 2013. He was a constant figure at our Danville store and watched us grow through the years. Lastly, to my sister Margot Murphy who was our biggest fan and best friend, she never saw Danville open but know she would have loved it.